SOUND & QUALITY NORMALLY FOUND ON SYSTEMS TWICE THE PRICE! The sound quality is excellent as we only use name brand components that are matched for the optimum sound output. The unit is molded in durable ABS plastic with a raised grain finish that offers a professional fit and finish. The system mounts up and into the factory Polaris roll cage with very little exceeding the bottom of the roll bars. It's design mirrors the cage opening above your head making the system look as if it were part of the vehicle. 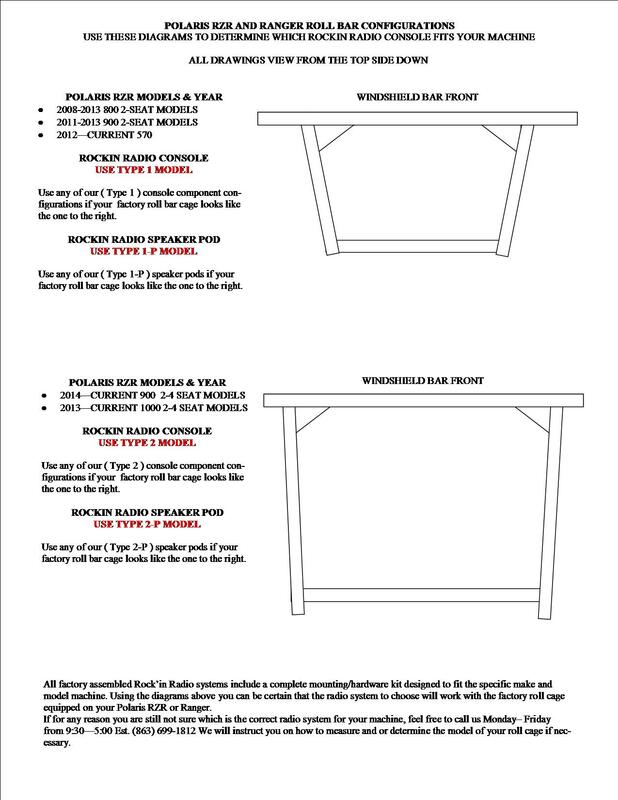 The unit has been designed to be able to be opened and re-sealed if any maintenance is required. The foam/rubber seal keeps water and dirt out. EXCELLENT SOUND QUALITY, LOUD AND CLEAR! 2- LARGE 6.5" CRUNCH COAXIAL SPEAKERS. 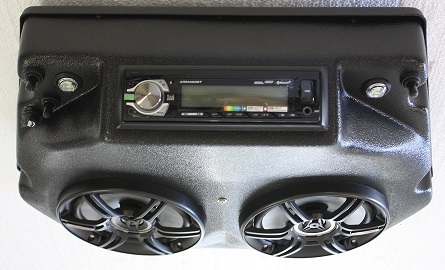 OPTIONAL REAR (2) SPEAKER POD IS AVAILABLE TO COMPLETE THIS SYSTEM FOR A TOTAL OF 4 X 6.5" SPEAKERS. You can find these fine options available here on our site. Radio Condom: Water-Proof Slip-On cover Included! 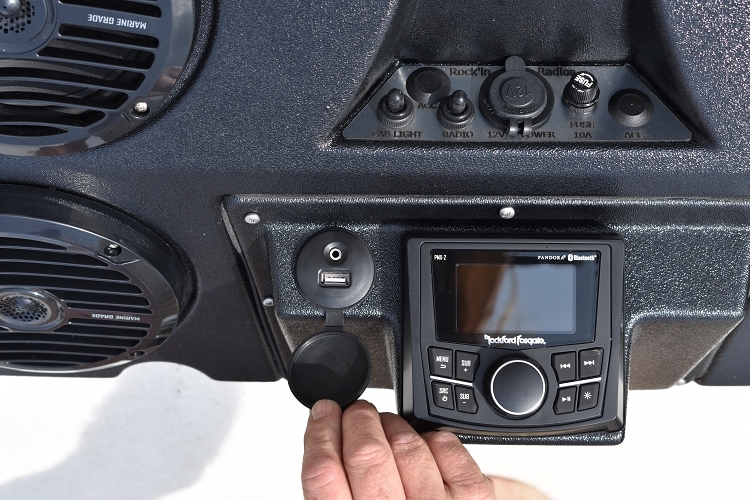 RZR 570-800 STEREO CONSOLE 2008-2015 with KICKER SPEAKERS!